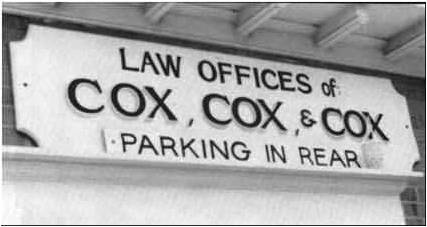 Law Offices of COX,Cox and cox – Parking in Rear !!! These signboards were recently discovered while browsing. It must be a legal hazard for the law firms with parking in the rear and a name like that!! Must be a real pain in the rear!!! Lol!! 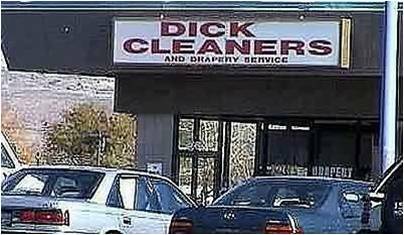 And this laundry and drapery services must be doing a roaring business? What say?